Having practiced yoga for ten years intermittently, the spiritual value of yogic philosophy became more inherent in Lydia’s practice whilst writing and creating a practice of mindfulness during her contemporary dance degree. Lydia wishes to re discover that profound individuality and illuminate it in practitioners. She began living a yogic lifestyle whilst dancing professionally and has never looked back. She trained with Yoga Professionals in 2016 where she gained her initial qualification, a diploma in teaching yoga (600hrs). Coming from a dance background Lydia was curious to learn people’s yogic journeys from all different walks of life, ages and capabilities, consequently learning what it really means to teach yoga and share and encourage experiences. She furthered my studies with dynamic practices of The Rocket (50hrs) and Mandala(55hrs) with The Yoga People in 2017. Lydia teaches a vitalizing, powerful practice with the ethos that yoga should be fun! Kasia started her yoga journey 9 years ago and it gradually turned into a life passion. She's a 400hr Yoga Alliance accredited teacher. Kasia completed her 200hr in Vinyasa with Yoga London, then trained in 100hr advanced Rocket in Thailand and most recently completed 100hr of Yin & Ayurveda teacher training in Goa both with The Yoga People. She’s also a qualified kids yoga teacher. Being a mum to three boys, she is really passionate about what yoga can offer to kids and the entire family. At first life took her onto a different path, after completing her MA degree in Marketing she spent several years working for big media corporations, but Yoga was patiently waiting to finally take over. Becoming a teacher was one of her biggest dreams come true and she loves sharing the magic of yoga with her students. For her Yoga is a perfect way to create and sustain the harmony of body, mind and spirit. When not teaching or practising yoga Kasia enjoys cooking and creating recipes that she posts on her food blog. She believes that food can heal and together with Yoga nourish the body and soul. She’s also interested in the Ayurvedic holistic system of wellbeing. For Kasia yoga is about having fun and not taking things seriously, but if you allow it it can truly change your life. 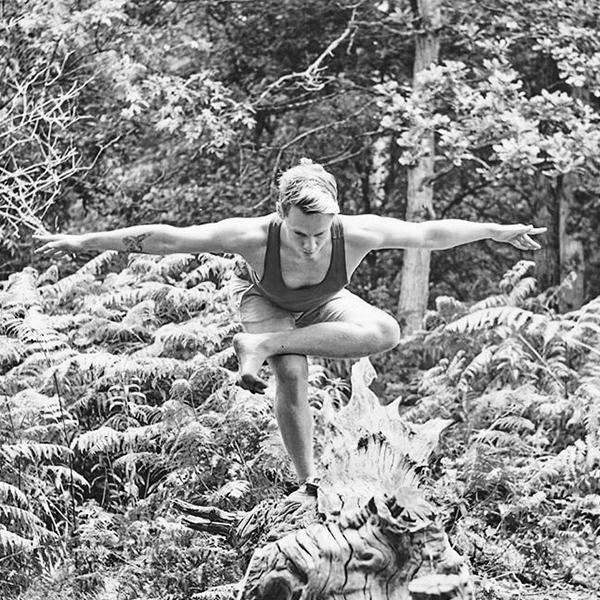 Since travelling to India in 2014 to do his first teacher training in Ashtanga Vinyasa with The Yoga People, Dan has been inspired by many practices and traditions including Yin Yoga and Meridian theory, Traditional Chinese medicine, Qi Gong, Kirtan and Bhakti, Chakra philosophy, Mandala vinyasa and Shamanism. In recent years his main mentor has been Mimi Kuo-Deemer, from which he draws his love and inclusion of Qi Gong within his personal practice and public classes. Dan also recently trained under the guidance of Nikki Slade, in Kirtan and Mantra on her first 200 hours learn to lead Kirtan foundation training. Dan loves teaching and introducing people to these many practices and his hope is always to empower and enable students. Expect intuitive, alignment focussed classes that move around the mat with fluid, functional movement to help you cultivate a sense of inner steadiness, curiosity and connection to your own individual experience. Alice has over 6 years experience practicing yoga. Initially being attracted to the physical benefits which helped her manage lower back pain. Through a regular practice she witnessed the positive transformation Yoga had on her body and mind. In 2016 Alice completed her 200-hour teacher training with Yoga London, lead by Holly Warren and certified by the Yoga Alliance. In April 2018 Alice completed 90 hours training in Yin Yoga with Norman Blair, and is due to complete another 35 hours in Vinyasa Flow with Mimi Kuo-Demmer in July 2018. Alice believes yoga is for every body, she teaches with care and consideration for each practitioner, and encourages mindful movement that is driven by self exploration and curiosity, there will always be modifications offered throughout and time for meditation and relaxation. Expect to leave feeling calm and grounded, whilst energised! Hassan was born in London, with Turkish Cypriot roots, and comes from a social services background – working with children in London in youth justice and children with additional needs. This work was very rewarding but also highlighted the importance for self-care. Hassan’s yoga adventure began in the gym, practicing hatha yoga, for a good stretch to escape the stress from working a challenging job. After 6 months of practice, Hassan felt some profound changes in his life. Becoming a yoga teacher was a natural progression and a heartfelt decision for Hassan – he is grateful to be able to teach one of his great passions in life and assist students on this amazing path of self inquiry. 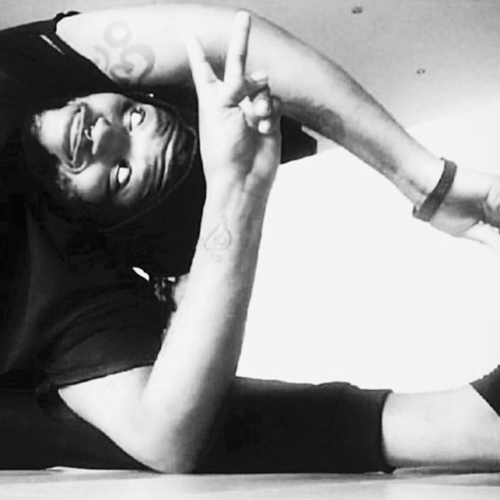 Hassan teaches Bikram, Vinyasa and Yin and when not teaching or practicing yoga he is either hanging out with his pets, teaching yoga retreats or talking to his houseplants! Aina is an experienced teacher who has taught athletes recovering from injuries, dancers, seniors, pregnant ladies to clients with chronic fatigue syndrome and stressed politicians. Aina teaches vinyasa flow classes that take both inspiration from the heat building in ashtanga and the attention to alignment in lyengar. This unique blend of the two styles will allow you to detox through heat and approach the asanas safely through the careful attention to technique and correct alignment. You will find yourself being led through creative and well developed vinyasa sequences that will open and prepare your body for more challenging peak poses later in the class. Aina moved to London in 1994 to study contemporary dance at The Laban Centre and graduated with a BA(hons) degree in dance theatre. However, the passion for yoga quickly took over and she spent many years in London practising ashtanga yoga, dynamic flow yoga, yin yoga, jivamukti yoga and lately Forrest yoga. Aina has been inspired through studying with teachers such as Sri K. Pattabhi Jois, John Scott, David Swenson, Danny Paradise, Cat Alip-Douglas and Ana Forrest. After completing a teaching course with the British School of Yoga in 2003 Aina started teaching classes in London until moving back to Norway in 2008. Whilst in Norway, she decided to deepen her yoga experience through the 200-hour intensive Yoga Works teacher training course. In July 2012 Aina qualified as a Thai Yoga Massage therapist with Mudita Thai Yoga Massage, London. Aina is currently living in London juggling family, healthy living, and yoga. 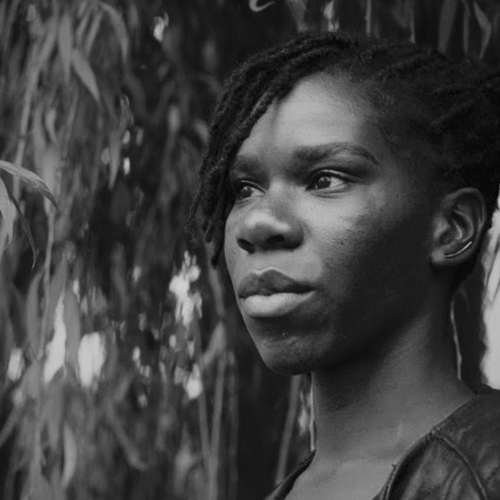 Junior is a proud south London native born and bred with background in performing. Since the age of six he was thrusted on the stage and developed a deep love ever since for the arts and the discipline that it carries. Junior’s yoga journey began a long long time ago where he combined his performing with the yoga practice but he wasn’t fully ready to accept the practice in all its glory, it wasn’t till a few years later that he would fully embrace his yogic path and truly fall deep love for the practice. Junior began to notice the benefits of the mind body and soul union through yoga & meditation; it began to reawaken his unspoken connection that he shares with the universe. Junior’s classes are fun energetic with a dash of sass, combing creative sequencing and a spirit of playfulness with a dose of inspiration to help deepen your practice with a hint of spirituality. He doesn’t take yoga too seriously he believes you take what you want and need from the practice. Junior invites you to come and share in the joy, experience the authentic honesty with each other and like minded energies. Junior teaches Ashtanga, Mandala & Shamanism Vinyasa, Rocket & Yin yoga. And will also hold monthly sound healing Gong baths at Yoga house. He’s venturing into Reiki, Thai Massage & Forrest yoga training this year to improve his thirst for knowledge. In his spare time catch him singing a tune, throwing some shapes, and getting dramatic when performing. 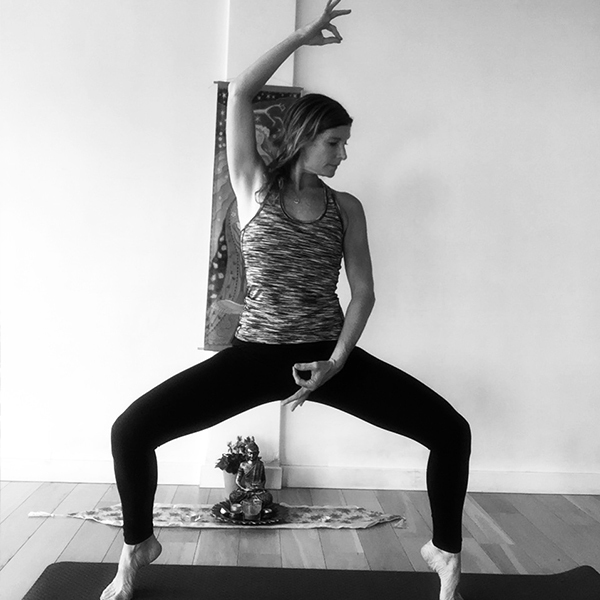 Hannah has been teaching Ashtanga, Vinyasa flow and Yin & meditation for 3 years now consisting of over 2500 hours of private and group class experience. She is also a qualified in Reiki and Thai Massage (head, neck and shoulders). Not only she teaches regular Yoga classes, but she’s very passionate about working with people with ailments, disabilities and mental health challenges. She loves seeing people feel better and stronger physically and mentally. She’s experienced in teaching people with Osteoporosis, Lupus, and chronic anxiety. All of whom have benefitted greatly from the specially devised classes Hannah provided for them. Hannah can taper her practice and teachings to anyone’s needs. Whether it’s more of a physical exercise class or a holistic approach incorporating philosophical texts, educating students on the other aspects of Yoga, Pranayama-breathing exercises, Chanting, Guided Savasana and Meditations. She is a firm believer in physically assisting the practitioner to allow them to go deeper into their poses and maintain the correct alignment, getting maximum effects, comfort and stability as well as reducing the chances for injury. 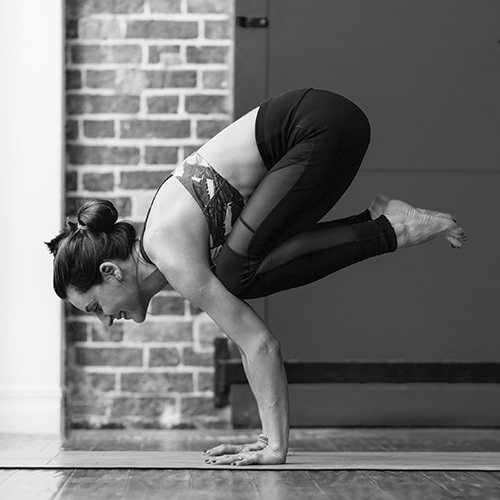 Hannah’s main style of yoga is a combination of functional movement drills with smooth flows and holds to condition the body and complimenting everyday life on and off the mat. A big focus on mindfulness and breath work, to finely tune and balance the nervous system- quieting the mind for a blissful Savasana. Imir has been practicing yoga for 17 years, consistently studying to deepen her understanding of anatomy, the eight limbs of yoga, and yoga as a way of life; exploring traditional yoga systems, particularly Ashtanga Yoga, Dynamic Hatha Yoga and Vinyasa Krama (the linking of postures together in sequence, building towards a key asana). Imir’s teaching style is calm and friendly, her classes deep and challenging. Following the tradition of ‘Guru Parampara’ (passing on the tradition of yoga in its pure form from generation to generation), Imir enjoys continued training with some of the world’s foremost senior teachers in Ashtanga Yoga (including David Williams & David Swenson), Yoga Philosophy & Meditation (Carlos Pomeda) and Anatomy (David Keil). She took her initial 200 hour Yoga Teacher Training qualification in 2010, followed by among others, a further qualification in Ashtanga Teacher Training in 2013 and a 300 hour Yoga Teacher Training qualification in December 2017. In addition to teaching private and scheduled classes and retreats, Imir runs a registered yoga teacher training school, and is registered 500RYT with Yoga Alliance. Emily is passionate about sharing the power that yoga can have on the body and mind. With 10 years experience as a dancer in the West End and around the world and 200 hrs training in Dynamic Vinyasa flow she has a great in depth knowledge of the body which she shares throughout her class. Having originally turned to yoga to gain strength and flexibility she has been amazed to discover the benefits in her mind from having a regular practise. It has enabled her to deal with life stresses and lead a happy and healthy life. Coming to her mat every day allows her to connect with her body and calm her otherwise very busy and anxious mind! Her classes are light hearted and engaging and her fun, caring approach to teaching will leave you feeling at ease. Expect an energising flow ending with a calming stretch and relaxation to leave you feeling refreshed and rejuvenated. Ella is a dance artist and yoga teacher based in South East London. She completed her 200hr certification in Ashtanga/ Dynamic Vinyasa Yoga with Ervin Menyhart (Yoga Coventry), before more recently undertaking a further 100 hours in Rocket and Mandala Vinyasa Yoga with The Yoga People. Since her first class, yoga has become an integral part of Ella’s life and practice as a dance artist. Ella's classes incorporate challenging sequences which encourage the student to find grace and elegance in movement, whilst finding the release and joy to let go in postures and find mental clarity. Classes are accessible for all levels, with a range of modifications on offer. Ella continues to work as a dance artist; performing, teaching and making dance and enjoys bringing her knowledge and experience of dance and Somatic based practices into her yoga teaching. Joanne started practicing Hatha yoga in 2001, with dvd at home, feeling too embarrassed to go to a class. Suffering with clinical depression and anorexia throughout her teenage years and early twenties, she was looking for an alternative and holistic approach in dealing with the sickness. In 2004 she started practicing Bikram's series of asanas while in Australia, and found what she had been looking for, and so much more! The need to share and teach the yoga with everyone was something she couldn’t ignore, and subsequently went on to teacher training in Hawaii in 2007. 10 years later, there is no looking back. Having the ability to help people create positive change in their lives is what living is for. The simplicity, accessibility and healing potential of Bikram’s method of yoga still excites her, and she looks forward to sharing it with many of you. Joanne also underwent teacher training with renowned Vinyasa yoga teacher Stewart Gilchrist in 2015, while pregnant with her second child. Natalie's yoga journey began 11 years ago due to personal circumstances, a demanding career contracting in Training & Development and being diagnosed with a strain of Chron’s Disease. She discovered through practicing yoga her health improved exponentially keeping her in remission for longer periods, which naturally led her to deepen her practice and gain knowledge to share & practice with others by switching careers in Training in the corporate world onto a holistic level. She qualified as a 200 hrs Vinyasa Yoga teacher with Yoga London in 2012 and has been teaching ever since. Natalie had the privilege of, while pregnant, Teacher Training in Pre & Post natal, baby Yoga & Baby Massage with Katy Appleton of Appleyoga & in Children’s Yoga teacher (2-12years) with YogaBeez in 2017. Natalie is a Mom herself and brings her passion for yoga and the transformational power of motherhood into her classes is her mission to bring yoga to as many pregnant women as possible, to share the amazing & plentiful benefits of yoga while provide a safe, nurturing, empowering space for all new Mums to be, Mums & little ones. Over the last 30 years Jacquline has gained an appreciation and an understanding of a holistic approach to life through a Yogic life style. Her practice has supported her journey in managing the challenges she has experienced from fibroids and endometriosis: in addition to a busy, hectic life. Exploring and learning during her practices, while gaining the wisdom that the tradition offers, the subtle aspect of healing and understand the connection between the many layers of our being. Her personal practice over the last 30 years has taught her the importance of a holistic consideration to health and well-being, leading her to an Akhanda Yoga teacher training (200hrs) in 2015. 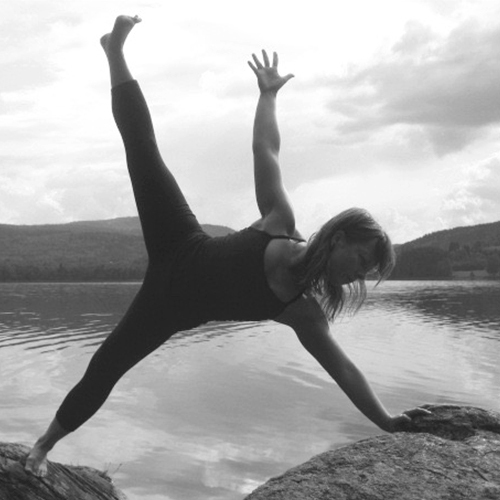 She has since gain additional training in Yin Yoga, Face Yoga, Advance assisting and Ayurveda / conscious living. Teaching Yoga has given her the opportunity to share this passion, while on the journey of fully embracing all aspects of health and wellbeing that a yogic life style has too offers. Jacquie's desire, is to hold space for others to explore being playful, strong, open and relaxed in the practice, as a means of finding peace, tranquility in our everyday life. 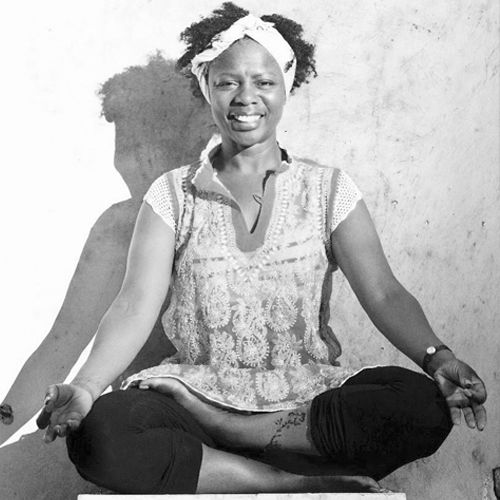 Amani Eke is a yoga teacher to children, teens and adults. She founded Project Yogi in 2015 and decided to make it a not-for-profit organisation in 2016 in order to reach more children and families in need. Amani is a certified Egyptian Yoga instructor and has also trained with Youth Mindfulness, Teen Yoga UK and Kidding Around Yoga to gain more knowledge of teaching Yoga and Mindfulness to children and teenagers. Amani has over 7 years of experience working with young people in education, as a mentor and as a tutor. It was her personal experience of yoga that drove her to become certified to teach adults and young people. She decided to set up Project Yogi to help teach young people the principles and practice of yoga and mindfulness, assisting them in combating some of the obstacles they may face on a daily basis.